﻿ 9 Days Private Guided China Tours, Best 9 Day of China Travel Packages. 9 days in China, where to go and what to do? 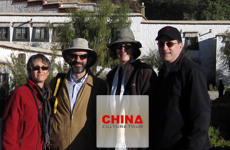 For the first timers, we highly recommend the best 9 days China tour package to Beijing, Xian and Shanghai; if you have been to those cities, we’d like to recommend a 9 days china trip to the world heritage sites in Datong, Wutai Mountain, Pingyao, Luoyang; or plan a 9 days china tour package including Tibet and Sichuan to Chengdu, Leshan, Emei Mountain or Jiuzhaigout Valley; or a 9 days’ vacation to the Yellow Mountain, Zhangjiajie and Guilin. Whatever your request and wherever you like to visit, just tell us and we will tailor a 9 days private guided China tour to make your dream come true. If this is your first trip to China with about 9 days available, Beijing, Xian plus Shanghai is the best combination. Capital Beijing and Xian are representative of the ancient Chinese culture. The Great Wall and the Terra-cotta Warriors are must see sights. Shanghai represents modernization with skyscrapers and shopping centers and also the ancients with old relics at Nanjing Road and the French Concession.